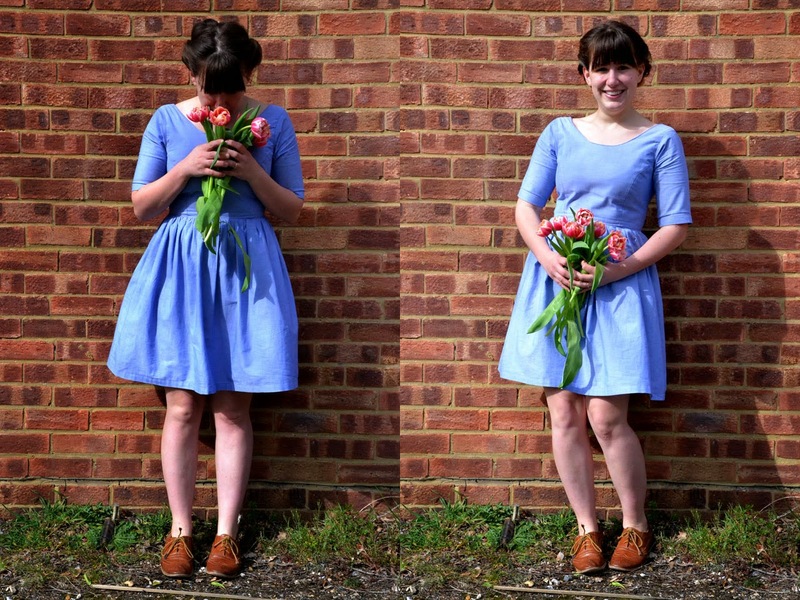 I think I may have made myself the perfect spring dress! 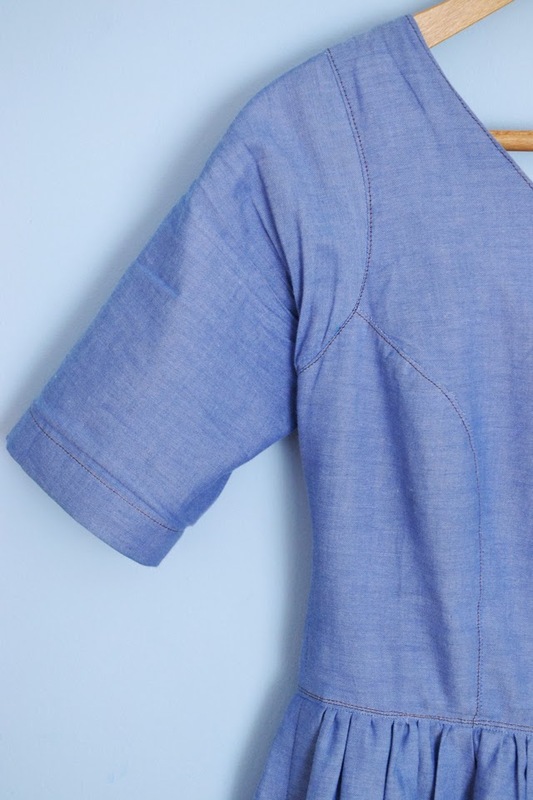 This chambray dress is so versatile and so easy to wear. I have used the Elisalex dress pattern from By Hand London for the second time (see the first one here) but this time added a gathered skirt. The original pattern has a beautifully flattering tulip skirt but I wanted to make a more casual and easy to wear dress. I think the gathered skirt was the perfect option don't you? 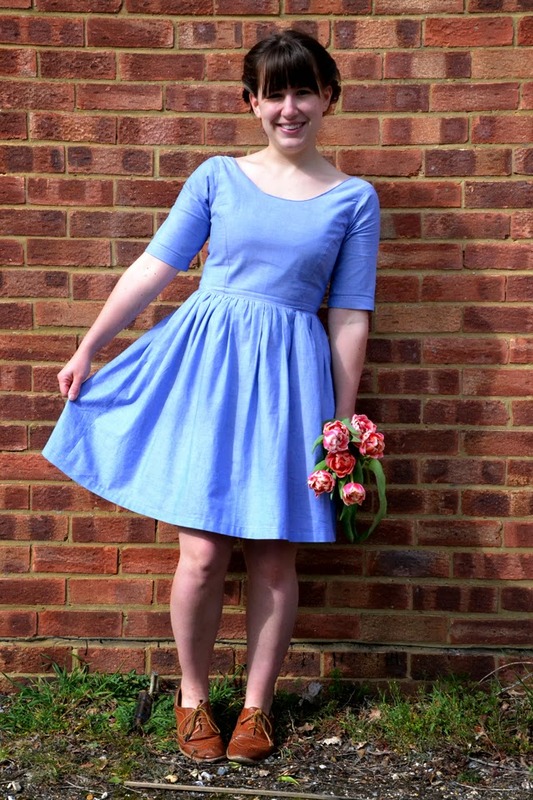 I chose the chambray fabric because it's so versatile, soft and easy to work with and light enough for a spring dress. For those of you who don't know, chambray is a little bit like a light denim. It is made of cotton and has dark blue threads running in one direction and white threads running in the other, just like denim, but is much softer and thinner than denim. Think denim shirt (chambray) vs denim jacket (denim). It works so well for the dress because I can literally wear anything with it, spring florals, autumnal scarf, wintery knit and tights or just some sandals for summer. Winner. 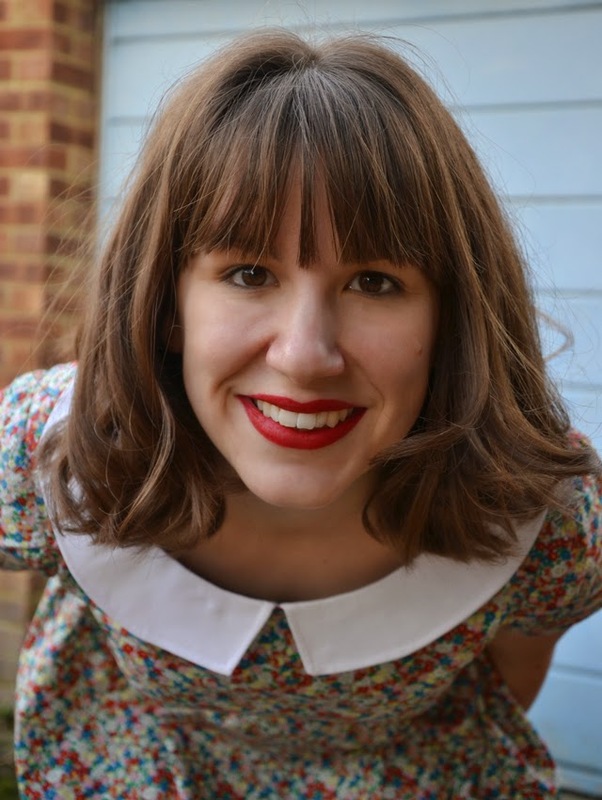 You can easily add a gathered skirt to any bodice pattern so I will show you how. Make your bodice first and check it fits. Then you can make the skirt. First of all you need to cut 3 rectangles of fabric. The first needs to be the length that you want your finished skirt to be (plus seam allowance) long and your hip measurement wide. 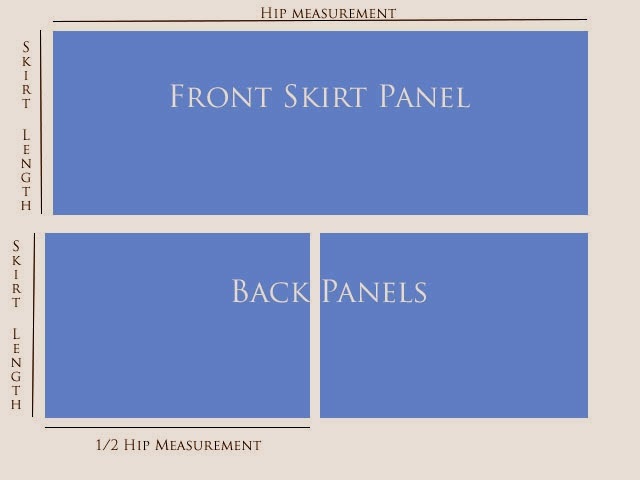 The other two need to be the same length (skirt length plus seam allowance) and half your hip measurement wide. 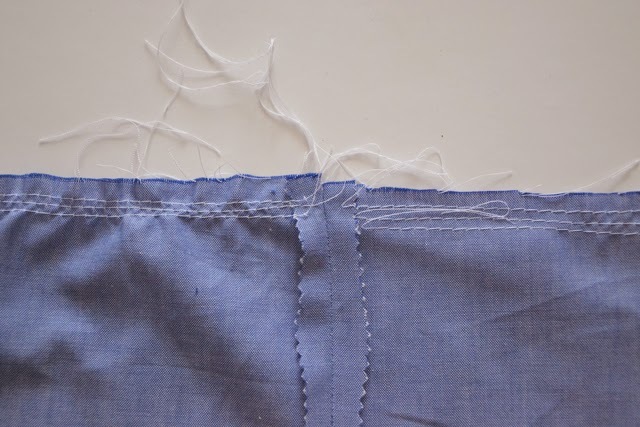 You don't need to be too precise, you can always hem it more once you have finished. If you want a fuller skirt just make them all wider. 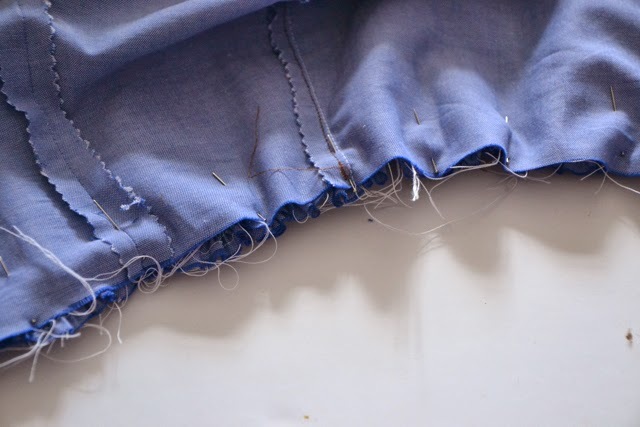 Once you have cut these pieces out of your fabric, sew the side seams together and press open. Leave the back seam unstitched, you will sew this up when you finish your skirt with the zip (or buttons). Once you are happy with the gathers on once section more on to the next. Check that you have gathered the right amount for each part of the skirt to fit with the bodice. 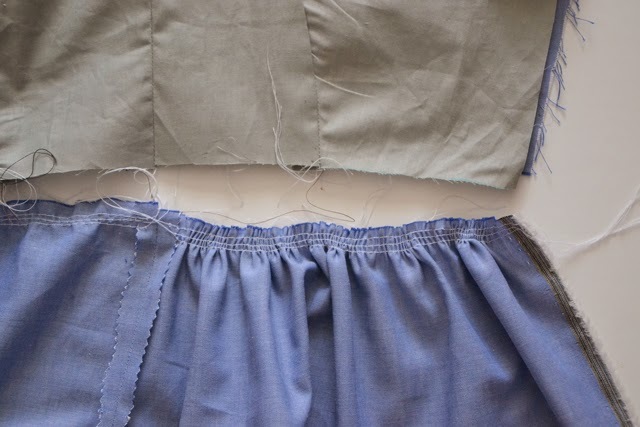 When it is all gathered to the right size and as evenly as possible, turn your skirt pieces so the the wrong side (with the open seams) is facing down. Place your bodice on top with the wrong side (the inside) facing up along the gathered edge of the skirt, line up the seams and pin your skirt to your bodice. If your bodice has a lining like mine then only pin the skirt to the outside and not to the lining. Stitch the skirt in place (make sure you reset your tension and stitch length), you might want to do two lines of stitching for extra strength as the bodice is holding together a lot of fabric. Then press the seam towards the bodice. Finish off your dress according to the pattern instructions. I added an invisible zip instead of the long exposed zip. 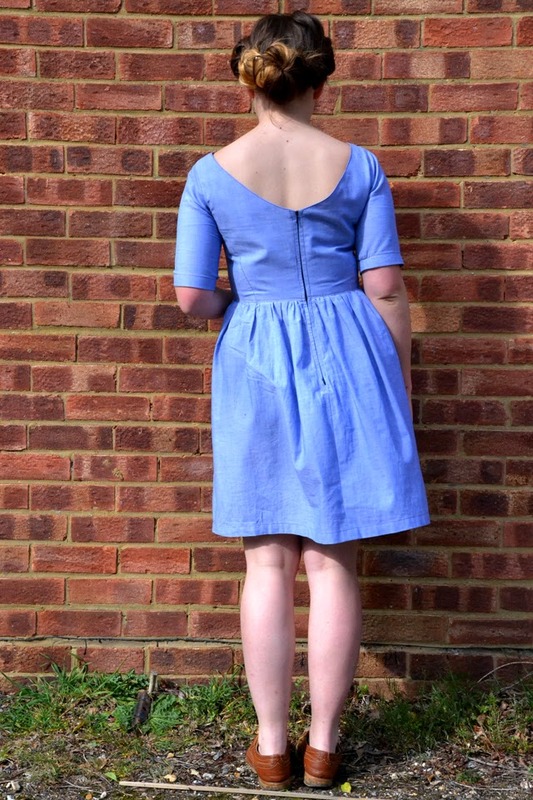 I also added some top-stitching around the bodice in a brown thread as I felt this finished the garment nicely like a denim or chambray dress you might buy. Hi from a By Hand London fan!! This dress is just adorable! Ooh - is this the chambray from Offset Warehouse? http://www.offsetwarehouse.com/blue-hand-woven-chambray-2294.html I've been eyeing it up for MONTHS!